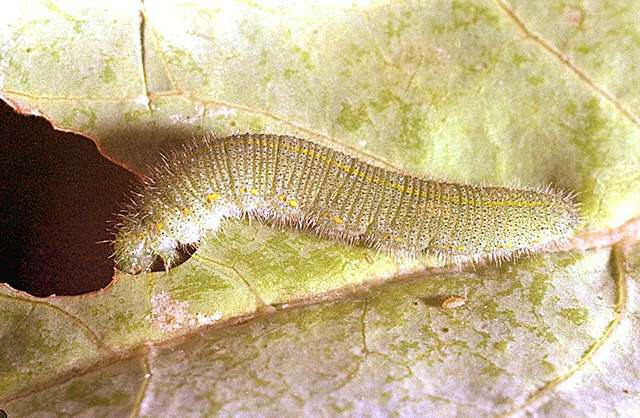 Pest description and crop damage Larvae are green and very hairy, with an almost velvet-like appearance. 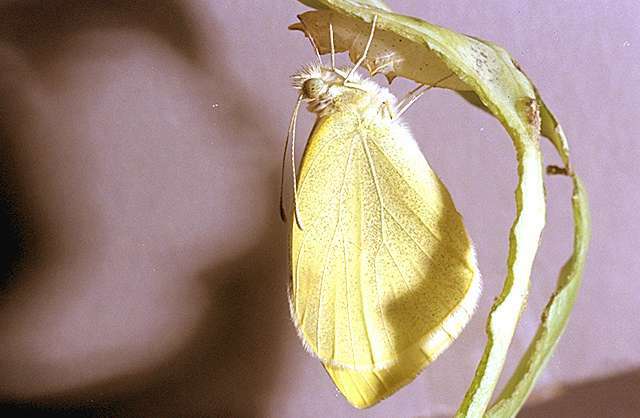 Older larvae may be up to 1 inch long. They often have one faint yellow-orange stripe down their backs and broken stripes along the sides. acephate (Orthene 97) at 1 lb/a (1 lb ai/a). REI 24 hr. Allow a minimum of 7 days between applications. Do not exceed 2 lb/a (2 lb ai/a) per year. Do not apply through any type of irrigation system. This product is highly toxic to bees exposed to direct treatment of residues on blooming crops or weeds. Do not apply to blooming radish seed during pollination. Bee colonies used for pollination should be removed from the field being treated prior to the application. Notify beekeepers pollinating crops within .25 mile of the field to be treated at least 48 hr prior to the application. Do not use on daikon radish. No portion of treated plants can be used for food or feed. 24c SLNs: Orthene 97 WA-050015 (expires 12/31/19). Washington only. azadirachtin (Aza-Direct, Neemix 4.5)-See label for rates. PHI 0 days. This is a botanical insecticide with ingestion and contact action that kills larvae by interfering with molting; also reduces damage by repelling and deterring feeding. Repeat in 7- to 10- day intervals beginning at the first sign of infestation when pests are immature. Repeated applications break the life cycle of the pest. Some formulations are OMRI-listed for organic use.